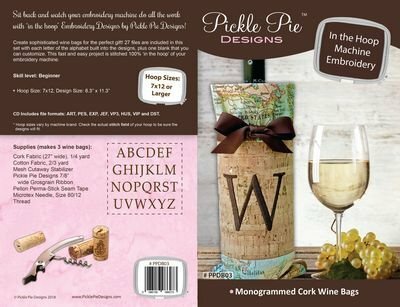 Create sophisticated wine bags for the perfect gift! 27 files are included in this set with each letter of the alphabet built into the designs, plus one blank that you can customize. This fast and easy project is stitched 100% in the hoop of your embroidery machine! Hoop Size: 7x12, Design Size: 6.3in x 11.3in.